The HLF is supporting our History Tree project through their 'Sharing Heritage' scheme. Over the next few months we'll be producing a book and other materials celebrating local events from 1800-2007. In 2007 a magnificent Copper Beech tree which stood at the Danby Moors Centre had to be felled because it was becoming a danger to the visiting public. On the spot where it stood, NYMA installed a metal plaque inscribed with events that took place during the life of the tree. These range from local occurrences such as the birth of Henry Cooper, the 'Scugdale Giant', in 1853 to national events such as the conquest of Mount Everest in 1953 - which resonated throughout the rock-climbing and hill-walking community of the North York Moors. 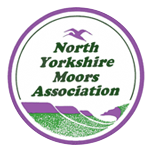 An inception meeting for the project is taking place on June 3rd - fittingly, at the Danby Moors Centre where the History Tree stood.